Replacing your AC unit could save you big bucks. We have worked out an amazing price for HVAC replacements for our customers. We are making the deal even sweeter by offering the first 10 customers $250 off their AC replacement! Most of our customers can save around $250 a year by upgrading a 10 SEER unit with a high efficiency air conditioner unit. If your unit was installed before 1992 it is most likely a 10 SEER or lower. SEER is a measure of energy efficiency and the higher the SEER the more efficient the unit. 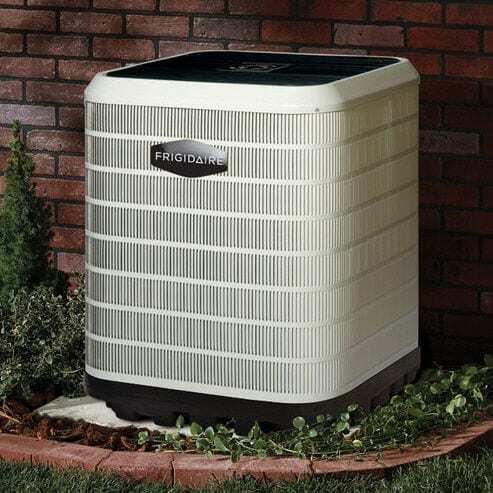 We recommend replacing your AC unit with a 16 SEER or higher. Proper sizing is also very important when replacing your AC unit. An over-sized unit may “short cycle.” This means that it cools the home very quickly and then shuts off. Why is this a bad thing? Short cycling prevents the unit from properly dehumidifying the air. Humid air is less comfortable and also bad for the building structure. Short cycling also decreases the efficiency of the unit. When the unit firsts starts up it is operating at a lower efficiency. This means that if the unit is only running for a short time it will never reach it’s peak efficiency. It is also important to not under-size the unit as the unit will then run constantly without ever cooling the house. A certified energy audit can help you determine your cooling needs. The auditor will evaluate your needs based on the size of your home and how well it is insulated and sealed. Schedule your energy audit today! Check out this guide to efficient heating and cooling by ENERGY STAR and contact us today to start saving.